In Chapter Five of his book The Goal, Eliyahu Goldratt shows us that the goal of a business is to make money. It’s not to have fun or sell a product. It’s to make money! Your businesses must focus on making progress, and grow your audience by generating quality leads. This will build the momentum you need to succeed. Let’s look at some things to remember when it comes to generating leads. Many business leaders think the only system to collect contact information is on their website. Put up a little lead generation box on the website and BOOM! Let the leads start to flow! Relying on a single point of collection in your sidebar is not productive. This passive approach will not deliver the results you need. 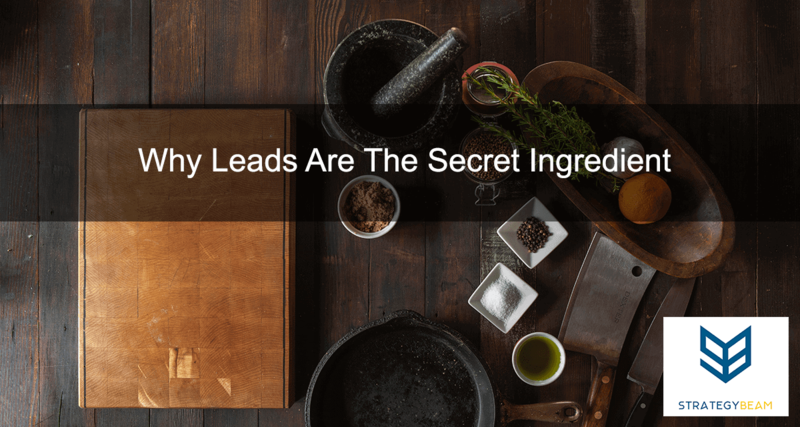 Depending on the nature of your business, I bet that you meet with plenty of potential leads. This means you can get great leads as you network! Bring a pad and phone to record the contact information of interesting people you meet. Approach each pitch and proposal as an opportunity to collect new leads. Create a special drip email campaign for an individual who just signed up for one of your special offers. Include a unique URL at the bottom of each receipt for a discount if readers complete a quick survey about themselves. Promote a special landing page for your new contacts to download an ebook. This will grow your email list and show your leadership. Without a system to gather this information, you are losing out on a lot of money and hurting your business growth. Be creative, and think about where your audience is viewing information about you, your product, or your service. Building your email list is a plan for the future. Think about the coming months and years with your contact. There are lots of tools out there to help build your list. WuFoo Forms, Zoho, and Excel are the most simple solutions. If you use Google Sheets, you will be able to input all information on the scene. Use your smartphone for easy access and to save your information as you go. Zoho will let you track and record your information way better. No matter what technology you choose, be sure that you are consistent. Now it’s your turn. What tools and tips do you use to grow your business email list? Let me know in the comments below!